Crossposting this, hopefully someone can help this poor boy out! Ok, so my Saturday afternoon at work was going nice and easy, until a call came in for picking up a stray. The nice officer says "oh there's a Shar-pei being a menance, in a not so nice area of town"..and of course, being the lucky duck I am, gets to hop in the little white van, armed with only a snare pole, and some dog food, and a bowl and catch the holy terror. Let me tell you..I was quite shocked when I got there to see what I was up against. I actually asked the officer, "do you know what that is?" But, it's part of my duties to catch, and be humane. Needless to say, it's not a Shar-pei, it's a Fila. While I know, I joked around alot about what's next a Fila, and what not. Really, I was just kidding, I didn't exactly expect to go and pick one up. So, here he is, skin and bones. Poor guy Is he maybe a Fila/Pei cross as well? He looks all Fila to me....I talked with Renee and I am pretty sure she thinks he's purebred as well. 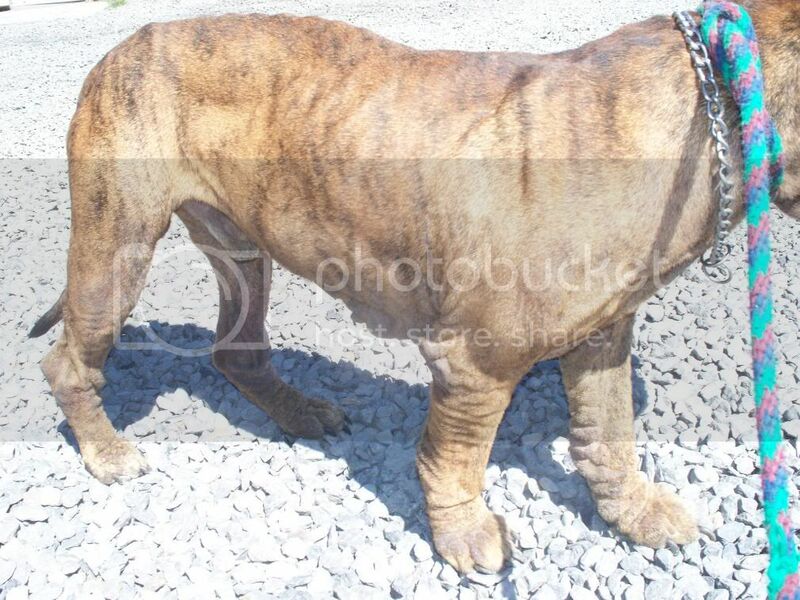 I figured he was, I just don't know quite how floppy a six-month old Fila would be and the skin thing (maybe demodex like Doberkim suggested) gives his fur that "sand hair" look of a Pei. I hope he finds rescue or a good foster home so he can get started on his treatment ASAP. Oh no, poor guy. He really is skin and bones. The poor little guy! I will look for the phone number for Ann from fila rescue, she lives in Pa.
Zoom, that is the first thing I thought upon seeing him too. His feet and legs look really "pei'ish" to me. With being so underweight, and the possible skin condition, it's really hard to tell. I can only hope he finds a rescue/home that will help him get healthy and happy. If I can help, let me know. I don't have much of a car for transporting an animal that size, but I'm a possible lay over or source of supplies. 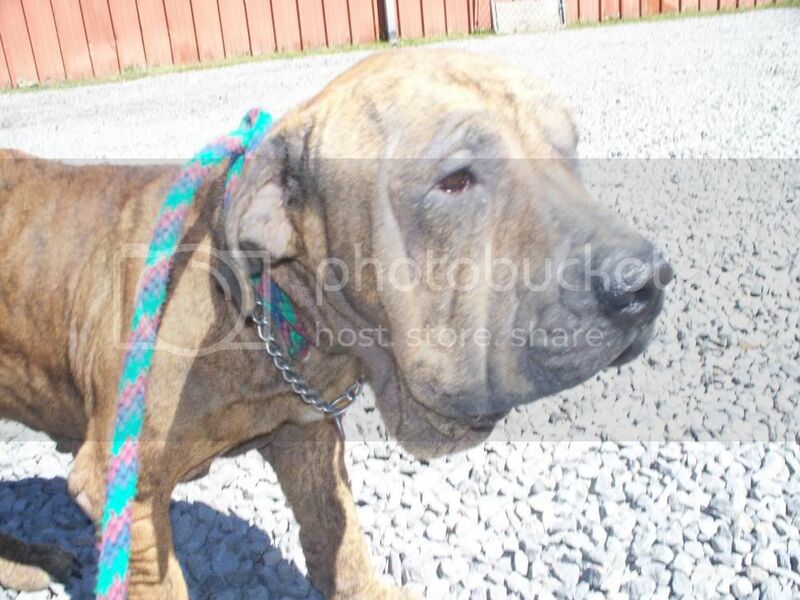 Well, here is a sad update...the owner of the dog, has called the shelter and is coming to pick him up tomorrow morning. Now, while he claims this is no Fila, and is actually a shar-pei/ pitbull mix, I know better, which only tells me that this guy is up to no good. While I am over here fuming at this fact of him being returned, I WILL be following up on his ten day get vet care order. There are some very shaddy things going on here, and I will get to the bottom of this matter. I wanted to say thank you, thank you, and thank you to all of you that came threw for me, and found me the connections I needed for this poor boy. Sadly, being a educated canine person is not a requirment for this shelter, and returning severely negalected dogs are a norm, and letting people lie about what they really are is acceptable. I am going to and vent some more about this situation. He could have some Pei in there somewhere - it's almost impossible to tell for sure in the horrible condition he's in. 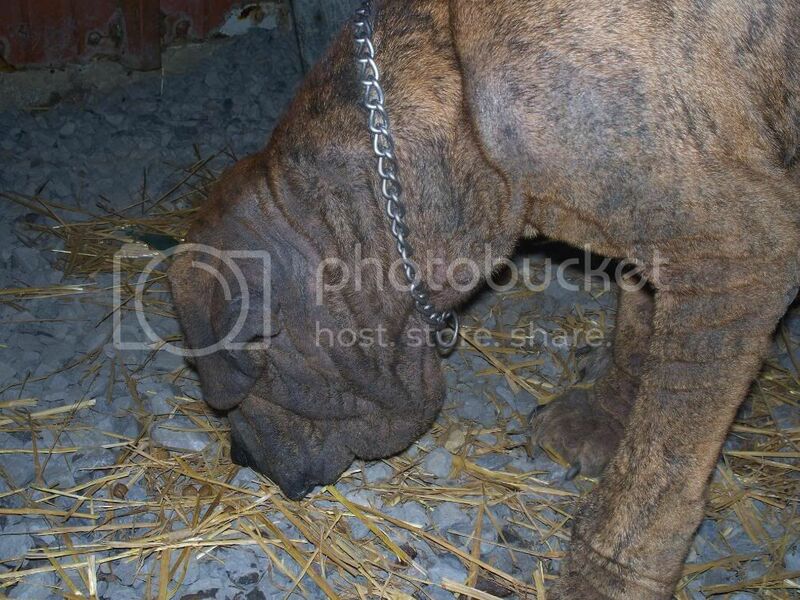 A Fila that emaciated would likely have saggy skin like that, especially if he had demodex. How could they let this poor dog go back to that person? What happened to animal abuse laws? OMG this is so upsetting. I don't know. 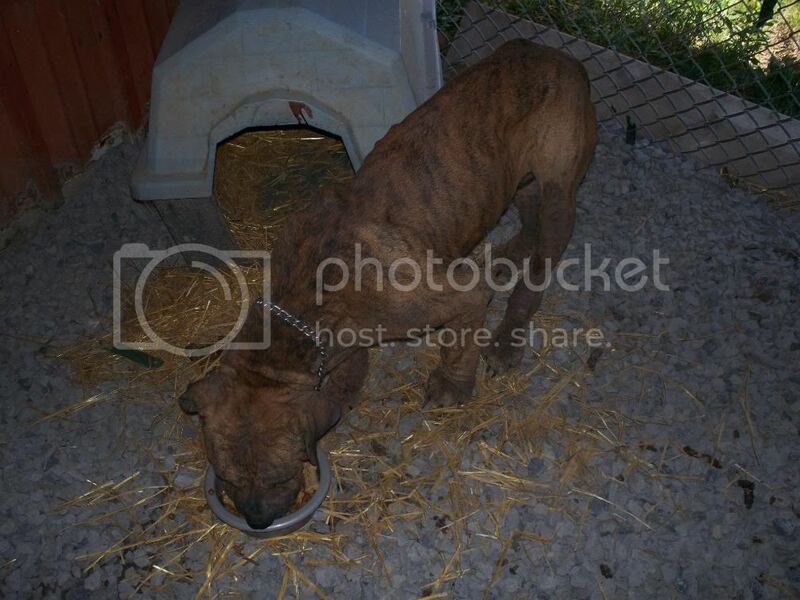 I don't understand how they could let an animal THAT emaciated go back to its owner. Even an idiot could tell that there is something VERY wrong here, and I can't think of any way to explain that dog's condition away, short of a letter from a vet describing some serious disease. That dog is obviously neglected...........the least they could do is have it looked at by one of their vets to see if there is a medical reason for the dog to be so thin.........if there isn't, THAT is grounds for the owners to face charges and NOT get their dog back. You would think so, infact I think the pics alone speak a thousand words. But, the one and only humane officer at the shelter is not even sworn in, and has no drivers liscence, however...I will get copies of his paper work, name and number, and so forth and take my niffty pics and pass them onto a sworn in officer down at the other shelter. I am trying to think of different avenues I can take to get this poor pup out of there, and into the right hands. The shelter where I am, is just a bunch of nitwits, who are well, I could go on about the stupidity of these people. Well good for her! (him?) I hope they get someone with half a brain to take a look at the situation. I do hope someone actually looks into this so he is not released into the hands of what is clearly an abusive and neglecting owner.